You have found the latest Pei Wei menu prices. Pei Wei Asian Diner offers Asian inspired meals that use quality, fresh, and great tasting ingredients. The meals are customized by you. You choose the meats, the vegetables, and the spices and the meals are prepared for you by talented chefs n an open kitchen concept. Customization never tasted so good. The menu choices include sushi, egg rolls & spring rolls, traditional wok classics, and rice & noodle bowls. Don’t forget about the selection of small plates and soups. 700-degree woks work feverishly to get your dish prepared. Go ahead and visit often to try different flavor combinations and make every visit a new adventure. Pei Wei hours are 11:00 am -9:00 pm, Sunday thru Thursday and 11:00 am -10:00 pm Friday & Saturday. Below is the latest Pei Wei menu with prices. At Pei Wei that means 35 ingredients. All-white-meat chicken with no additional growth hormones. No additional MSG during the cooking process. Even the rice is grown in the U.S. If you are hosting a social event or corporate lunch, consider Pei Wei’s Party Menu. Larger size portions of their food choices make feeding the group a breeze. Being pressed for time is no reason you can’t get Pei Wei for dinner. it’s simple. Place your order online. select your preferred pick-up time and you are done. A healthy meal for dinner in just a few clicks. Want to get the health nut for their birthday? How about a Pei Wei gift card. Nothing says healthy like a freshly prepared dish that uses quality ingredients. Purchase a traditional gift card that you can send via postal service or hand deliver or you can send an e-gift card that the recipient will receive instantaneously. Pei Wei believes in supporting the communities where they operate. Pei Wei supports local non-profit organizations and groups that work to make the local community better. Through sponsorship, fundraisers, and donations, Pei Wei can help. Get more details online or visit your local Pei Wei location. We all strive to eat healthily and live a balanced life. Pei Wei strives to provide its guests with complete and accurate information regarding the nutritional values of each of their dishes. If you are following a specific diet or just want to know how many calories, or protein you are consuming, visit the Pei Wei official website to get it all before you head out. Eating out can be difficult when you have food allergies. Pei Wei offers a complete list of allergens included in each of their dishes making it easier for you to make a safe selection. Make your visits to Pei Wei count. Sign up for the My Wei Rewards and earn points for every dollar you spend. Accumulated points can earn you free entrees. It’s free to sign-up and only takes a few minutes. At Pei Wei, you are not just an employee. You are a teammate and member of the family. Check out their website and learn more about current openings and opportunities and the Lucky Cat Fund. The Lucky Cat Fund is an employer-funded program that helps fellow teammates that are facing unexpected financial or catastrophic hardship. Pei Wei was created in 2000 by P.F.Chang’s China Bistro in order to offer their guests a fast casual style restaurant where they can enjoy Asian inspired dishes. There are over 200 Pei Wei locations in the U.S and international locations in Dubai & Kuwait. Pei Wei is a subsidiary of P.F. Chang’s China Bistro and is headquartered in Scottsdale, AZ. Be sure to follow and connect with Pei Wei through various social media platforms. You can also check out their Pins. 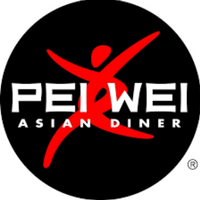 For more information about Pei Wei locations, news and the latest dish creations, visit their official website. I can tell you took your time research the topic, good work.